Since the roof is always exposed to many types of elements, roof restoration by Port Stephens Roofing can reinstate it to its brilliant state and quality. The scope of this work will cover roof repairs, cleaning, repainting and sealing. Since you can count on our team to deliver work with a level of professionalism and expertise, you are always assured that the completed project will have good results. Roof restoration by Port Stephens Roofing takes between two and four days to finish. Our committed workers will do their job with little disruption of your usual activities, and a project manager will always be in the premises, should you have any concerns. Our system entails five stages beginning with the repair and replacement of broken tiles. Next, we clean off all dirt and moss, then re-bed or re-point areas where necessary. The sealing of the tiles will then follow this, and will end with our men going through all the work in detail to make sure that it’s all perfectly executed. In all these, Port Stephens Roofing makes sure to use only the highest quality of equipment and materials. We also provide our clients with plenty of colour options for the roof restoration. Typically, roof restoration for cement tiles is necessary when the roof is over twelve years old. But for good measure, once there are cracks, chips or ridges appearing, a roof restoration by Port Stephens Roofing may already be in order. The minor damages are usually indicative of the structure bearing down and settling, which is a common occurrence in many homes. Fading colours and the presence of lichens, moss, and stubborn dirt may also require roof restoration immediately. Terracotta tiles easily lose their lustre after a few years. They also tend to become brittle because of constant exposure to environmental factors. Moulds and moisture that are not given attention right away can attract lichens and moss growth on terracotta tiles, and the only way to keep its quality intact is to undergo roof restoration done by our team. 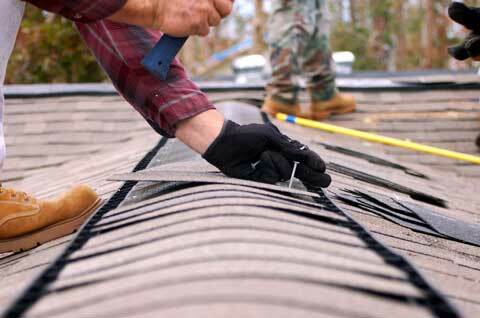 Port Stephens Roofing is an expert in roof restoration. If you are looking to improve the appearance of your roof or restore its lustre, you can rely on us to perform roof restoration with high quality. Call us today!